Can livestock grazing benefit biodiversity? The endangered Plains Wanderer needs an open grassland habitat. Photo source: The Internet Bird Collection. 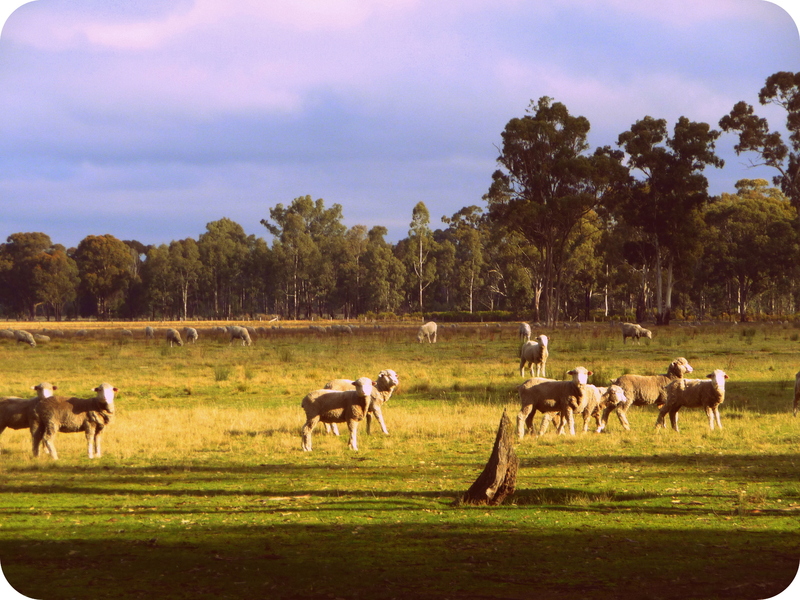 Grazing by livestock (mainly sheep and cattle) has irreversibly degraded many natural ecosystems in Australia. Consequently, stock are usually removed from public land when new conservation reserves are declared. The damaging effects of livestock on ecosystems such as rivers, wetlands and the alps are well known. On the other hand, ecologists have recommended that stock continue to graze in certain types of reserves. 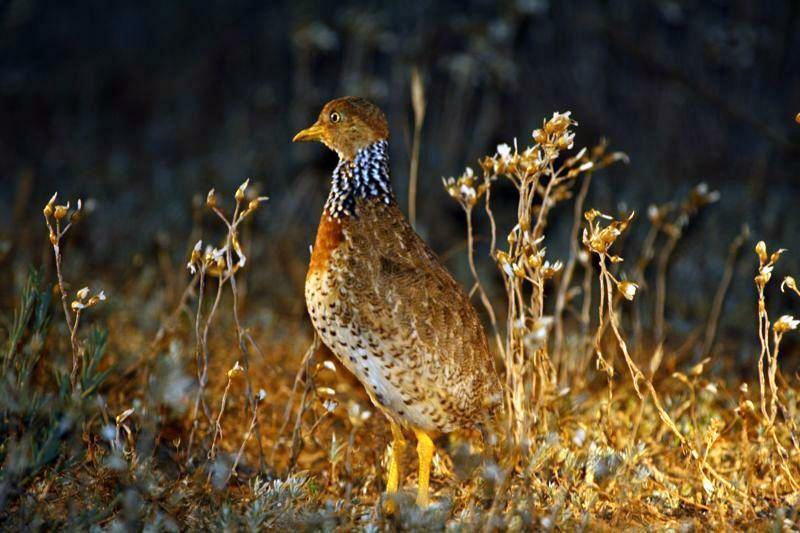 For over a decade, some National Parks in western NSW and northern Victoria have been grazed by sheep to create habitat for the endangered bird, the Plains Wanderer. In Tasmania, a number of threatened native plants survive in grazed areas; if stock are removed the plants are smothered by thick grasses and decline. Elsewhere, short-duration (or “crash”) grazing has been recommended to control exotic (weedy) grasses and promote native plants. In each case, grazing hasn’t been adopted because of a political compromise between production and conservation goals. Instead, it has been supported by conservation biologists to achieve specific ecological outcomes. The same ecologists have often opposed grazing in other regions (especially the alps) where grazing does not deliver desired outcomes. How can livestock grazing benefit biodiversity conservation in these places, but not others? In each case, managed grazing creates an open habitat that is suitable for plants and animals that cannot persist beneath tall, thick grass. This mechanism is only relevant in a small number of Australian ecosystems – particularly lowland native grasslands and grassy woodlands on productive soils in areas of moderate to high rainfall. Grazing is not required to maintain diversity in all grassy ecosystems, and is rarely needed in dry, infertile sites where low fertility constrains grass growth. Indeed, a recent Victorian study found that grazing by stock and kangaroos promoted the diversity of native plants in fertile, well-watered sites, but reduced diversity in dry, unproductive areas. If grazing is to be used for conservation purposes, a number of circumstances need to be met. Stock must preferentially eat the dominant grasses rather than other native plant species. Stock must also be controlled so they graze areas needing treatment and not other areas. In addition, being heavy, hard-footed animals, they should be excluded from wet areas where they can ‘pug-up’ the soil. These points sound simple, but are difficult and expensive to administer in large reserves that contain many vegetation types and few internal fences. For example, in a recent study, my colleagues and I examined how grazing affected an area containing a mosaic of wetlands dominated by native plants and grasslands dominated by exotic (weedy) plants. Unfortunately, grazing did not control the exotic plants as stock preferred to graze the lush native wetlands rather than the less palatable weedy grassland. A better outcome may have occurred if stock were restricted to the weedy grasslands. However, the cost of erecting fences around each habitat is considerable, and fences would detract from the reserve’s scenic and recreational values. Another challenge is to develop flexible but rigorous approaches so that stock can be quickly introduced and removed as ecosystem conditions change. This is difficult in Australia’s variable climate. Usually, few (if any) stock are needed in dry periods, but large mobs are needed to control grass growth after heavy rains. Adjusting stocking levels to rapidly changing habitat conditions will always be a challenge for conservation managers and graziers. What do we need to do before we consider using grazing for conservation purposes? First, the local problem and goals need to be clearly described (e.g. reduce cover of dominant grasses from 70% to 20%). Infrastructure (fencing and water points) must be adequate to confine stock to targeted problem areas. Trigger points (e.g. levels of grass cover) must be specified to indicate when livestock are to be introduced and removed. Grazing effects must be properly monitored, including treatment and control areas. Finally, costs and benefits need to be compared against alternative treatments such as burning. Livestock grazing has the potential to provide a useful management tool to achieve conservation objectives in some ecosystems at some times. However, the political rationale for grazing must be driven by sound ecological objectives, to ensure that ‘conservation grazing’ is not used as an argument to extract production gains at the environment’s expense. This post is more formal than most of my blogs. I was invited last week by the on-line commentary site, The Conversation, to write an article about grazing in conservation reserves. You can read the post on the Conversation’s site here. If you follow this link you’ll get to read the public comments on the essay, which, I dare say, will differ from those by my regular readers. I’ve added some photos, but otherwise the text above is the same as that in The Conversation article. The Conversation is a fantastic resource, please support it. Lunt, I.D., Eldridge, D.J., Morgan, J.W. & Witt, G.B. (2007). Turner Review No. 13. A framework to predict the effects of livestock grazing and grazing exclusion on conservation values in natural ecosystems in Australia. Australian Journal of Botany 55(4), 401-415. Lunt, I.D., Jansen, A. & Binns, D. (2012). Effects of flood timing and livestock grazing on exotic annual plants in riverine floodplains. Journal of Applied Ecology 49(5), 1131–1139. Schultz, N.L., Morgan, J.W. & Lunt, I.D. (2011). Effects of grazing exclusion on plant species richness and phytomass accumulation vary across a regional productivity gradient. Journal of Vegetation Science 22, 130-142. Next How do you grow a woodland tree? Hi Ian, Interesting post. However, I’d like to know more about how the kangaroos fit in. Are there many kangaroos in the areas you are talking about or have they been controlled, and do they impact on the exotics or rather select for particular natives? Could kangaroos and other native herbivores do the job on their own – benefit the diversity of native plants in these areas? Grazing by kangaroos does help to reduce grass cover in many areas, but in many grassland reserves, kangaroo numbers are too low to reduce grass cover adequately. Many small reserves are surrounded by crop lands, so maintaining big populations of kangaroos isn’t an option. From a management perspective, it’s far simpler to bring in a mob of sheep for a brief period than it is to try to manage kangaroo numbers in a small reserve. The ecological outcomes from crash grazing are likely to be better than continual grazing too. Thanks Ian for this article – so much more information needs to be available regarding when, where and how to graze, to guide both public and private landmanagers. Current advice from government agencies to private landholders receiving management incentives to adopt conservation practices is vague at best; it seems grazing regimes are more often than not dependant on landholder willingness and necessity. Few farmers will sacrifice grazing value for the benefit of conservation unless we can make it easy, clear and financially viable. A whole new paradigm is gaining force around the concept of intensive silvopastoril systems (ISS)- a sustainable form of agroforestry for livestock production that combines fodder shrubs planted at high densities (more than 10,000 plants ha−1), trees and palms, and improved pastures. (Murgueitio et al. 2011). This system is combined with biological corridors and other restoration and conservation strategies that benefit biodiversity and help our way in sustainable development. I believe this is the way to go.. what do you think?